Happy Friday Eve once again all. Can you believe this is the last party of March? Hope everyone's had a fun National Craft Month! I didn't plan on this week's features being all jewelry (well not the chocolate one) but that's how it turned out. 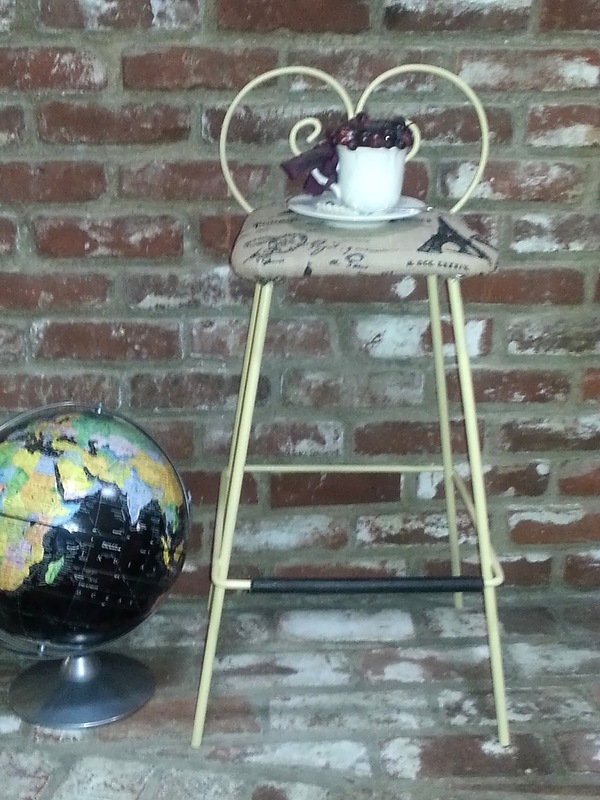 I love that each of these projects can use found or re-purposed objects. Definitely going to try my hand at these Safari Leather Bracelets from Rena at Jewelry Making Journal. I recently cleaned out my jewelry box and took apart some prior creations but saved the beads to re-use and have some that are perfect for this idea. 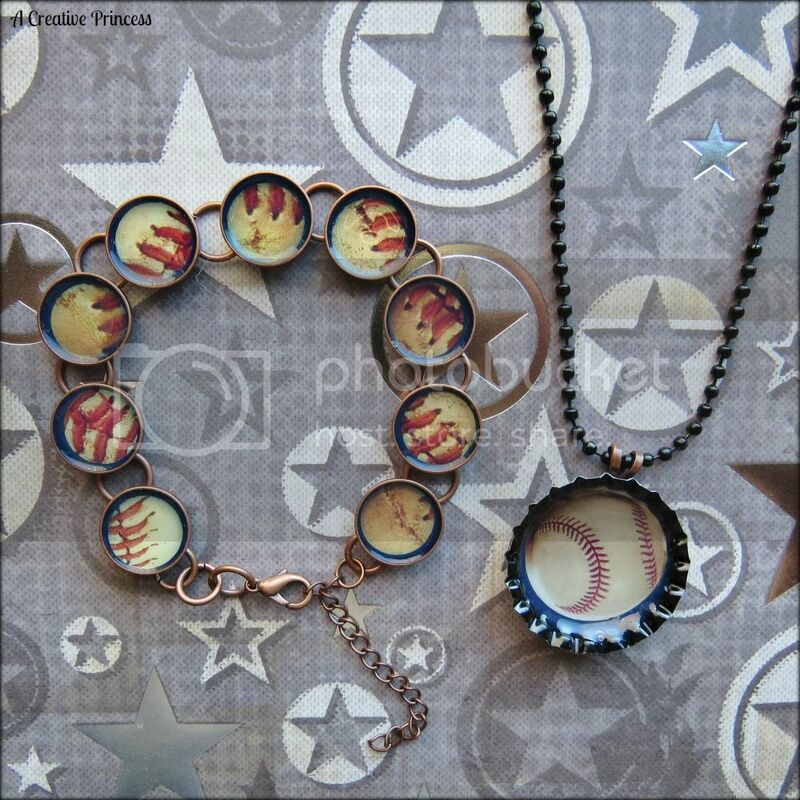 Baseball season is just around the corner and whether your an MLB , softball, or little league fan, you need to check out this idea from Terri at A Creative Princess. Home run! With ongoing discussion about the potential retirement of the penny, here's a way to preserve them for posterity. 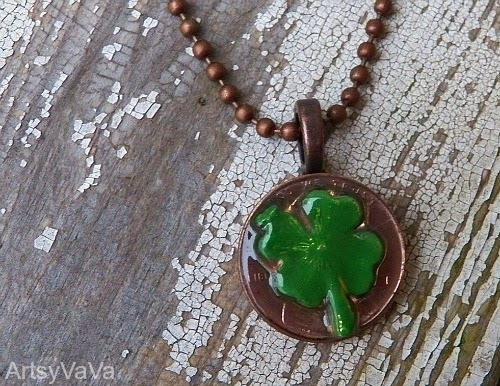 Artsy VaVa combined a penny ( she even has a poem) and a charm to make this cute necklace for St. Patrick's Day. It could be easily adapted to many occasions. Making macarons ( different from macaroons) has been on my to do list. For this week's chocolate feature I am drooling over this recipe for Mocha Macarons from Aimee at Twigg Studios. Everything she makes is gorgeous! It’s been a while since I made a printable and then I saw this quote from Shakespeare’s " A Midsummer Night’s Dream". Once again Mr. Shakespeare sums things up so eloquently. I think this is a perfect quote to celebrate Women's History Month! Happy Monday . I'm excited to be sharing this woven bracelet over at Live Creatively Inspired where I'm now a monthly contributor. 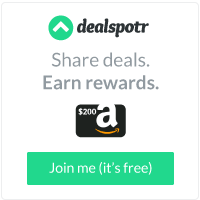 Hope you'll come over for a visit and check out the blog. 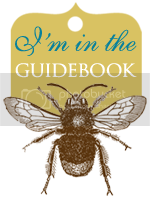 The contributors are a talented group of ladies and I'm honored to be among them! Happy Friday eve all. This is the most creative thing I've done all week. Between College Boy being home for Spring Break (yay for a son who still likes to come home!) and migrating to a new laptop ( yay for not hanging up on every screen) and attempting to be on vacation from my day job ( and boo for that not happening completely) well that's been my week. Hope yours has gone well. Getting right down to the business of partying tonight and features will resume next week. Have fun!! Happy Friday Eve all. Hope everyone's had a good week. Excited to have College Boy home for Spring Break starting on Sunday. I've been doing a lot of Spring cleaning lately. Sorting through things I've held on to and now ask myself why, re-purposing others ( OK saving stuff to re-purpose) filling up the Goodwill donation bin etc. 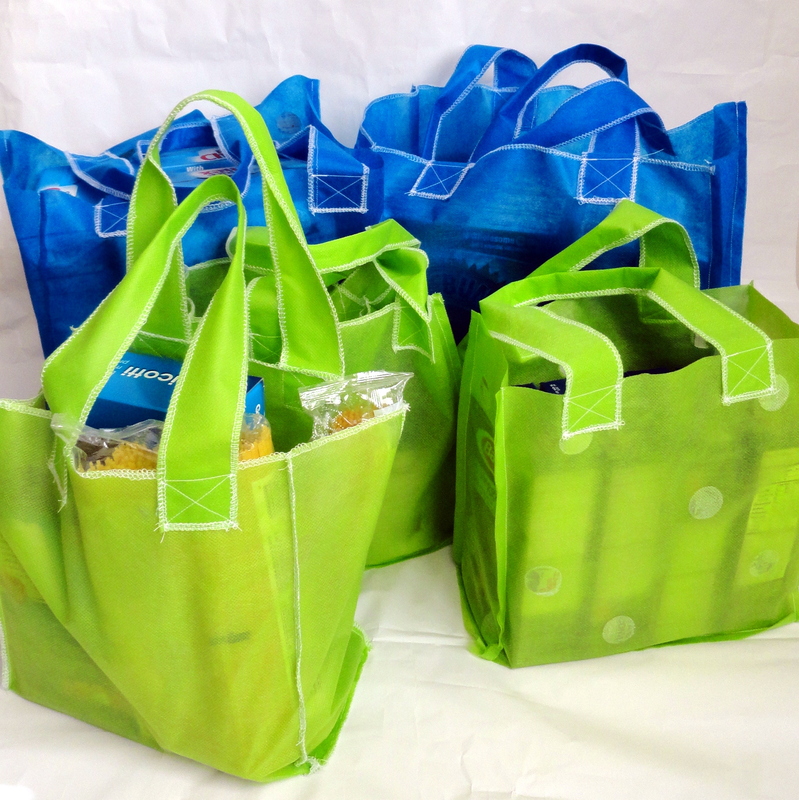 So this week's features include some reduce re-use recyle ideas. I love my reusable grocery bags . It took me a few trips to remember to put them back in the car for next time but it quickly became a habit. Now I was lazy and bought them at the store, but if I need more, I'm going to remember this DIY tutorial from Rachel at Holy Craft . She also shows how to use the same pattern as a gift bag . I'm old enough to remember using the phonebook for its intended purpose and young enough to wonder why the heck we keep getting them. I may just hang on to a couple to try some of these ideas that Caroline and Larissa from Creative Party Themes rounded up. I've wanted to try some pallet projects but haven't wanted to commit to salvaging a full pallet. Steph from The Silly Pearl has a great faux pallet idea . Love her St. Patrick's themed sign. This week's chocolate feature is from Allison at The Pinterest Kitchen. I am now craving these Chocolate Iced Butter Cookies. Pretty sure you are too! This necklace all started with a charm. A very special charm, from a very special person. It was my birthday present back in September from College Boy. The past couple of years have had some challenges. Lots of changes, some planned, some not, and some right on top of each other. Not a lot of time for breath catching shall we say? So when I read what he wrote in the card and saw this charm ( after melting into tears and slobbering all over myself) I knew I had to wait until the right idea popped into my head. One worthy of his gift. I was poking around Michaels after Christmas and found this pendant and string of beads from the “Vintage Romance” line by Debby Anderson. My eyes landed on the pendant and it was the perfect backdrop for the charm. I randomly strung some of the beds on wire and joined them in the middle of silver chain. I added another strand of beaded chain to the bottom portion of the necklace that joins the pendant. 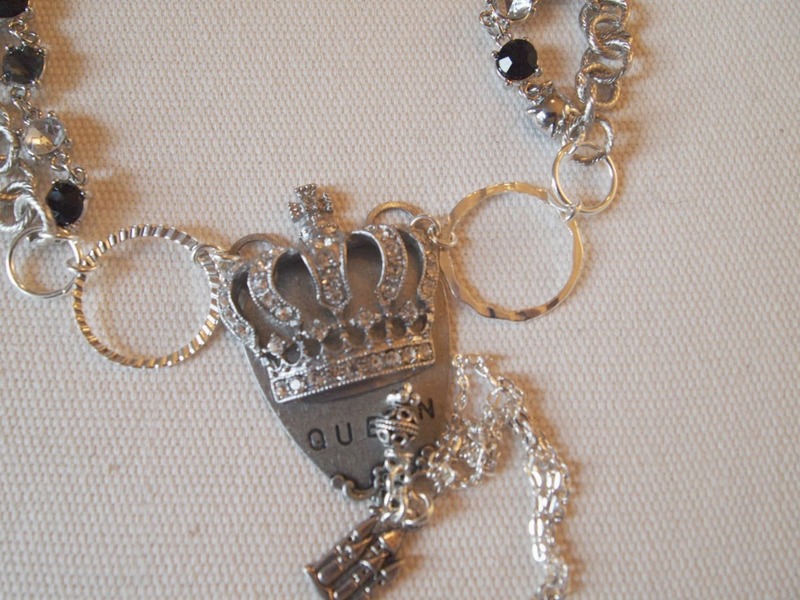 I may never be queen of any country, but it’s more than enough for me that my son think’s I’m queen enough to deserve my own castle that now hangs from the end of the Vintage Romance pendant. Happy March everyone and at least it's the month where we welcome Spring ( even if the weather doesn't consult a calendar) . Another great party last week with lots of fabulous ideas so here are some highlights! I've been seeing gorgeous dipped baskets in stores and catalogs but I have not liked the less than gorgeous prices. Heather from Woods of Bell Trees has a stunning DIY for less. You may even have some baskets on hand that could use a makeover. 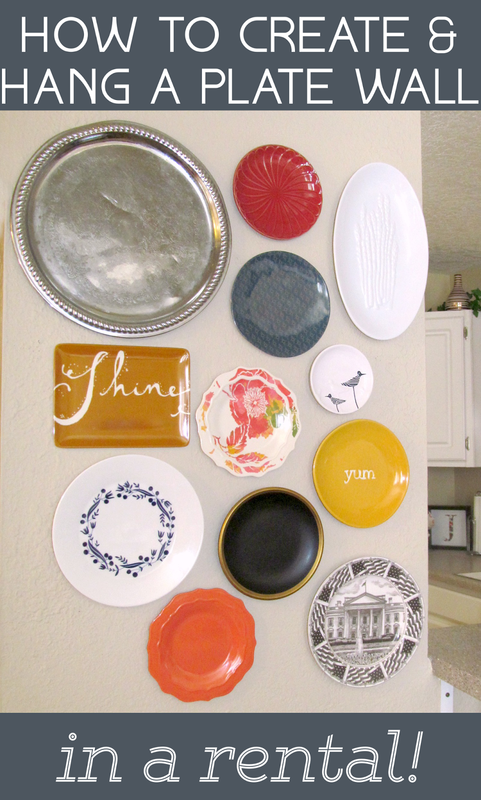 Whether you're just being a good tenant or you want to be extra careful with your walls, It's Always Ruetten has a great way to achieve a plate wall without risking your security deposit. 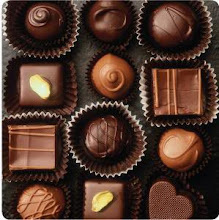 OK ready for this week's chocolate feature? As if the Whipped Mocha Mousse Tart wasn't decadent enough, Karyn from Dieter's Downfall also has a soft caramel sauce to accompany it. I have no doubt it tastes as amazing as it looks. I made this birthday card for a very stylish friend. Who can’t use a pair of fabulous high heels even if they’re made of paper? Start with a pre-scored A-7 card. 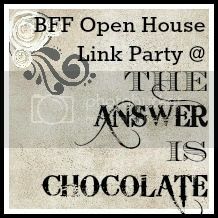 I used a white bordered invitation by Pop Tone. Layer with a panel of paper from the Pink Paislee “Secret Crush” collection. The shoes were cut from black cardstock using the Wall Décor and More cartridge by Cricut and my Cricut Expression. I glammed these up with self adhesive rhinestones on the toes and the heels, dots of pink Liquid Pearls and organza ribbon bows. Finished the card with a scrap of pink washi tape, wrapping white organza ribbon around the top of the card and adding a sentiment sticker.